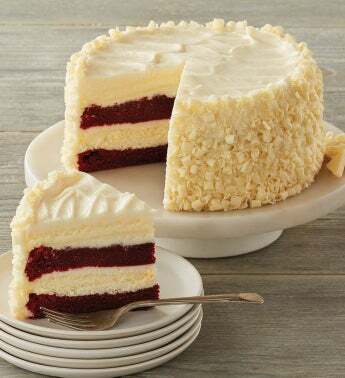 Alternating layers of cheesecake and moist red velvet cake make the Ultimate Red Velvet Cake Cheesecake™ from The Cheesecake Factory® a unique, delicious, and visually stunning treat. The cream cheese frosting just makes it more delicious. Elevate any celebration with this modern spin on the classic red velvet cake recipe.